Who’s come the furthest to get here? First Presbyterian Church in Branson MO greeted their church visitors this way when I was there on a visit in 2007. Because its a tourist town, they have plenty of visitors to church who come for the one Sunday while they are on vacation in Branson. During the time before the service, the pastor is able to observe who is visiting. The congregation is under 100 in attendance, so newcomers are somewhat visible. He talks with many of them, if not all, prior to the service. During the welcome time, he calls out a list of places where the visitors are from. Kansas, South Dakota, Indiana, for example. They are asked to raise their hands, and the church welcomes them with a round of applause. For the church, this celebration of the presence of tourists is a continual reminder to greet the visitor, even if they are there just one Sunday. It’s a pleasant atmosphere and because of the prior conversations with the pastor, there doesn’t appear to be any embarrassment in being asked to raise a hand. The pastor does an excellent job of meeting and greeting prior to the service which makes this part of the service enjoyable. This form of meet and greet works in Branson because it is a tourist town. The pastor is able to work the crowd to make it a pleasant experience for everyone involved. In most places, singling out visitors would create awkward moments in the visiting process. Instead, find ways to help your visitor find you at the visitor welcome center or by turning in a connection card. If you do the passing of the peace in some way, consider these experiences (video). 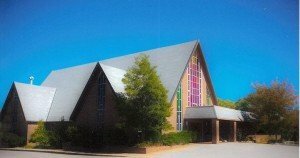 A church by any other name is still a church, Right?